Did The Lord Choose Not To Anoint "The Lord's Anointed"? I have a wonderful cousin who I love like the dickens, but she recently rebuked me online by writing "You are so deceived. I'd rather follow a prophet than someone who is disgruntled, leading others astray. I feel sorry for you." Well, I get that now and then. But when it comes from someone who hasn't seen me in more than a decade, I feel a correction is in order. So I would like to put my dear cousin's mind at ease and reassure her that I do follow a prophet; a prophet I believe to have been divinely appointed by Jesus Christ to be not only a prophet, but a seer and a revelator as well. This is a prophet I presume my cousin also looks to as divinely anointed: Joseph Smith, Junior. On a blog so boldly titled as "Pure Mormonism" you would think readers would be aware of my testimony of Joseph Smith and my devotion to the gospel of Christ he was instrumental in restoring. But it turns out that a good number of active members of the Church -some of whom know me personally- haven't actually read much of my words here, choosing instead to assume I have devolved into a nasty, unrepentant nonbeliever. So I guess a reminder that I remain devoted to the faith, and to the prophet who founded it, may be in order now and then. This prophet, Joseph Smith, is the only man our pioneer ancestors thought of as the prophet to the church, and he had that sole distinction among the membership throughout the entire lifetimes of the generation who knew him. Even though Brigham Young, John Taylor, Wilford Woodruff, and others attained the office of president of the Church, Joseph Smith was the only one the 19th century Saints ever recognized as the prophet of the Most High. You can find numerous references to "the prophet" in the journals and writings of the Utah Saints, and even repeatedly in the Deseret News up through the turn of the century. And every time that term was used, it almost never referred to the current Church president, whoever that might have been. When "the prophet" was spoken of, it was in reference to Joseph Smith the martyr, and him alone. I think where I part ways with my cousin is that although I believe Joseph Smith was indeed a prophet, seer, and revelator, I am no longer convinced the same can be said of the men who currently manage the affairs of the LDS Church. And I think my reasoning on this is sound. If the Lord intends for us to revere these men the way we revere our founding prophet, shouldn't we be able to arrive at a testimony of them the same way we came to know of Joseph Smith's divine calling? Should we not, for instance, be able to fairly demonstrate that Thomas Monson has been anointed prophet, seer, and revelator by utilizing the same means and criteria that brought us to the knowledge that Joseph Smith was? Every missionary in my day was familiar with a talk by apostle Hugh B. Brown, "Profile of a Prophet." In this recorded talk, Elder Brown outlines the historic and scriptural criteria by which any of us should be able to recognize the appearance of a true prophet of God. It is a powerful and convincing talk, and at only 25 minutes long, well worth your time. You can listen to it here. 1. He will boldly claim that God had spoken to him. 2. Any man so claiming would be a dignified man with a dignified message—no table jumping, no whisperings from the dead, no clairvoyance, but an intelligent statement of truth. 3. Any man claiming to be a prophet of God would declare his message without any fear and without making any weak concessions to public opinion. 4. If he were speaking for God he could not make concessions, although what he taught would be new and contrary to the accepted teachings of the day. A prophet bears witness to what he has seen and heard and seldom tries to make a case by argument. His message and not himself is important. 5. Such a man would speak in the name of the Lord, saying, “Thus said the Lord,” as did Moses, Joshua, and others. 6. Such a man would predict future events in the name of the Lord, and they would come to pass, as did those predicted by Isaiah and Ezekiel. 7. He would have not only an important message for his time but often a message for all future time, such as Daniel, Jeremiah, and others had. 8. He would have courage and faith enough to endure persecution and to give his life, if need be, for the cause he espoused, such as Peter, James, Paul, and others did. 9. Such a man would denounce wickedness fearlessly. He would generally be rejected or persecuted by the people of his time, but later generations and descendants of his persecutors would build monuments in his honor. 10. He would be able to do superhuman things—things that no man could do without God’s help. The consequence or result of his message and work would be convincing evidence of his prophetic calling: “By their fruits ye shall know them” (Matthew 7:20). 11. His teachings would be in strict conformity with scripture, and his words and his writings would become scripture. “For the prophecy came not in old time by the will of man: but holy men of God spake as they were moved by the Holy Ghost” (2 Peter 1:21). Now, a cynic might conclude that since it was Joseph Smith himself who wrote those words, Joseph Smith could have been the one making the claim. Only a fool, it might be said, would accept that statement at face value. 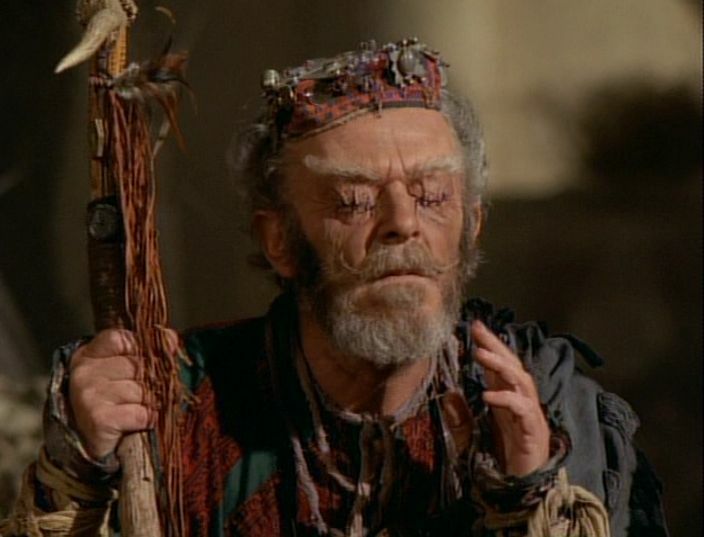 Well, I may be a cynic and a fool, but I also like to think I'm a seeker of truth. So I did what we are all commanded to do, and took that statement and others like it directly to the Lord for confirmation. What I received in answer to my prayers was a witness of the spirit that those words indeed came from the mouth of the Lord. Joseph Smith, I was assured, was indeed called of God to do God's work. We are charged in scripture not to take any man's statement at face value, no matter his rank or title. We are instructed to examine every single utterance that claims to have come from the Lord, then take that utterance to the Lord in prayer to get a witness through the Holy Ghost that the message did indeed come from Him. We rarely do that. We have gotten lazy, preferring to believe that our leaders somehow are incapable of leading us astray, even though the Lord has never given us that assurance, but has constantly warned us otherwise. Believing without question what management tells us is just so much easier than actually inquiring of the Lord. Our great failure as a people is that more often than not, once we receive divine confirmation that the Book of Mormon is true, we tend to accept everything else that is preached from the pulpit without thinking, even things that are taught that are contrary to what the Book of Mormon itself is trying to tell us. Some years ago I came to the realization that not everything I was taught growing up about my religion was entirely reliable. Some of it was error mixed in with truth. So in an effort to separate truth from falsehood, I realized I would have to set aside my entire system of fixed beliefs, and start over from scratch. So over time, as I re-read the revelations in the Doctrine & Covenants given to us through Joseph Smith, I made certain that each and every one of them was accurate. And I did so by asking God directly, "did you say this?" And each time I asked I got a clear witness. Yes, those words were the very oracles of God. I noted that members of the church back then were not told to follow or obey the counsel of the prophet, as I was being taught to do in regards to the president of the Church in my day. This revelation says we shall "give heed to all his words." To "heed" means to give consideration to, give careful attention, to examine and ponder. Quite a far cry from unquestioning obedience. All of us have our favorite scriptures. For most of us it's a direct quote from Jesus Christ, as well it should be. But there is one chapter in the Book of Mormon that we ought to take as our guide before we consider any other teaching of the Church, and that is 1st Nephi Chapter 8. This is the chapter that teaches us that the only sure path to God is by holding to the rod of iron, the symbolic guardrail that represents the word of God. Therefore, nothing we read in our Sunday School manuals, nothing we're taught in Church, nothing we hear in general conference, is allowed to trump the actual word of God. Only our Lord's actual words as revealed through His prophets are the words we should be clinging to; anything not measuring up to the word of God fails the iron rod test. "I say we need to teach our people to find their answers in the scriptures. If only each of us would be wise enough to say that we aren't able to answer any question unless we can find a doctrinal answer in the scriptures! And if we hear someone teaching something that is contrary to what is in the scriptures, each of us may know whether the things spoken are false -it is as simple as that. But the unfortunate thing is that so many of us are not reading the scriptures. We do not know what is in them, and therefore we speculate about the things that we ought to have found in the scriptures themselves. I think therein is one of our biggest dangers of today." So, are we to simply allow men in leadership positions to govern the church of Christ according to the policies and procedures they institute on their own? Or are they required to govern the church only in accordance with the instructions promulgated by God? We latter-day Saints have a sacred duty to make an important determination, and this determination should be made carefully and prayerfully: whether the men who succeeded Joseph Smith actually are his successors as authorized by God, or if they are there only because our vain traditions call for them to be. The way to get to the nub of it all is to seek God's word in the matter. It is not enough to simply accept the next guy in line as though he were appointed by God. We should insist on seeing evidence of that appointment. I had just begun to question my faith in church succession some years back, when Gordon B. Hinckley was president. In March of 2003, the president of the United States launched an invasion of a foreign country that had done us no harm, in violation not only of the constitution's separation of powers, but also in direct violation of the words of Jesus Christ, who declared in D&C 98:33 that his people "should not go out unto battle against any nation, kindred, tongue, or people, save I, the Lord, commanded them." So I was looking forward to general conference three weeks later. We were finally going to hear an actual prophet of God lay into the civil authorities for an act of aggression every bit as unwarranted as the Japanese attack on Pearl Harbor, or the German Blitzkrieg on Poland. This should be worth tuning in to! But when conference arrived and president Hinckley finally got around to addressing this topic at the final session, it was clear he wasn't going to act anything like a true Old Testament prophet speaking old fashioned truth to power. In fact, he admitted he didn't know what to think about this current war, but he was sure the whole thing would be over in a few short weeks. It was the most wishy-washy, non-committal, unprincipled, and uninformed pile of nothing I had ever heard come out of the mouth of a reputed prophet of God in my life. Caught me completely by surprise. Hinckley did offer one pertinent quote from Jesus,where the Lord commanded his people to "renounce war and proclaim peace." Then he spent the rest of his talk with a metaphoric shrug as if to say, "But hey, whatcha gonna do?" Thus began my first crisis of faith in modern Church leadership. So I went to the Lord to ask the question it had never occurred to me to ask before: is Gordon B. Hinckley your appointed mouthpiece on the earth? "Is Gordon B. Hinckley your anointed prophet, seer, and revelator?" Show me some of Gordon's prophecies and revelations and I'll give you my answer. "But he has never issued any prophecies or revelations." Well then, there's your answer. A while back, when re-reading 1st Nephi 8, I noticed something I had only glossed over in previous readings, then instantly forgotten. The prophet Lehi was describing a dream in which he found himself in a dark and dreary wilderness. Suddenly a well-dressed, important looking man appeared and bade him follow. Lehi would be rescued from the darkness, for surely this impressive figure -a man of God if ever there was one- would lead Lehi back into the light. But Lehi soon discovered it had been a mistake to follow this man, for he was only led further into the dark and dreary wasteland. Lehi found himself lost "for the space of many hours," until it occurred to him to call on God directly. Only then was Lehi brought into the light. Now he could see many things clearly, among them that rod of iron along the straight pathway to God's pure love. Lehi realized that the only sure path to God was not by putting his trust in any man, but instead to cling tenaciously to the word of God. As a devout believer in the restored gospel of Jesus Christ, I can think of no more pertinent question in our day than to assess whether we are doing the Lord's will in following certain men, or if we are being misled. Even Joseph Smith himself lamented that the people were depending so much on him that they were becoming "darkened in their minds." (Nauvoo Relief Society Minute Book, pg 51). If the prophet would issue such a warning to the people in his day to back off, why are so many Mormons so anxious to ignore that advice when it comes to Church leaders today? Joseph Smith was appointed by the Lord to be the Lord's mouthpiece. It so happened that Joseph was also elected by the people to preside over the fledgling church. Each of those positions is not the same as the other. Joseph just happened to have worn both hats back in the day; at various times acting as either prophet and/or president. But it could have easily been the case that while Joseph acted as the mouthpiece of the Lord, some other person -Hyrum Smith, for example, or Sidney Rigdon- could have been elected by the members and sustained as president of the church at the same time Joseph Smith was their prophet. So the thing we deserve to come to an understanding of in our day is this: how can we know if the president of the church also happens to be a prophet? How About We Ask The Same Questions? Obviously, to get an answer to our question we would use the same criteria we used when we came to a knowledge that Joseph Smith was ordained to be God's mouthpiece. We might first compare the current president to the list of qualifications apostle Brown taught would be recognizable in a prophet. Secondly, we would look for instances where the Lord has declared the modern president to be his mouthpiece, as he did numerous times in regard to Joseph Smith. Trouble is, we can find no instance where Thomas S. Monson has boldly made the claim that God has spoken to him. Neither has he declared he has received any messages "in the name of the Lord." Neither has president Monson predicted future events, or endured persecution, or met any number of the qualifications recognizable in a true prophet outlined by Apostle Hugh B. Brown above. Where do we find God's endorsement of Thomas Monson similar to the one given regarding Joseph Smith? We have no statement from the Lord telling us to "give heed unto all Monson's words and commandments which he shall give unto you, for his word ye shall receive, as if from mine own mouth." "I know of no instance where the Lord has appeared to an individual since His appearance to the Prophet Joseph Smith." Wait...WHAT?! I was always taught that the living prophet met with Jesus face to face on a regular basis in the upper room of the temple. And now here's one of those prophets admitting that not only has he never met or spoken to Jesus, but nobody he knows ever has either! I felt maybe the thing to do was track this all the way back to Brigham Young. Seeing as how Brigham was Joseph Smith's BFF, surely he had the authority to speak for God, and maybe at least I would learn that authority was somehow handed off to those who came after. It turns out, though, that Brigham Young wasn't really all that close to Joseph Smith, for the simple reason they didn't spent much time together. Joseph lived in Nauvoo, while Brigham was constantly off laboring in the Eastern States and Great Britain. We have this idea that Brigham Young was Joseph's second in command, but the records don't support that. He wasn't a member of the First Presidency. The minutes of the Nauvoo High Council don't show him in attendance because he was not a member of that body. His association to Joseph Smith, to the extent it was significant at all, was in company with others, not the two of them alone. There were plenty of other men who had a closer association to Joseph Smith than Brigham Young did. Plenty of others. The myth that Brigham Young and Joseph Smith were best buds was fostered by Brigham in the decades following Joseph's death, and developed over time into the official Church narrative. "Say Joseph, do you mind if we get a selfie so I can prove I met you once?" "What of Joseph Smith's family? What of his boys? I have prayed from the beginning for sister Emma and for the whole family. There is not a man in this Church that has entertained better feelings towards them. Joseph said to me, “God will take care of my children when I am taken.” They are in the hands of God, and when they make their appearance before this people, full of his power, there are none but what will say—“Amen! We are ready to receive you." 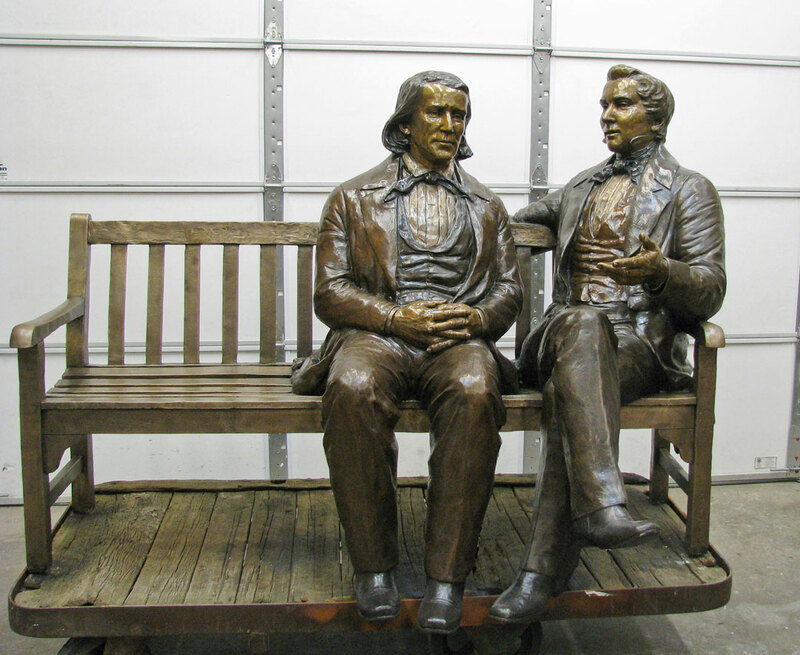 "The brethren testify that brother Brigham is brother Joseph's legal successor. You never heard me say so. I say that I am a good hand to keep the dogs and wolves out of the flock. I do not care a groat who rises up. I do not think anything about being Joseph's successor." (Journal of Discourses 8:69). Someone "to keep the dogs and wolves out of the flock" is exactly what Brigham proposed to be when he went before the assembly that day in August just weeks after Joseph and his brother were murdered. He indicated there would be no prophet to replace the one who had fallen. "I ask the latter-day Saints: do you, as individuals, at this time, want to choose a prophet or a guardian? Inasmuch as our Prophet and our Patriarch are taken from our midst, do you want someone to guard, to guide and lead you through this world into the kingdom of God or not?" Brigham was attempting to persuade the crowd to reject Sidney Rigdon, the only member of the First Presidency left alive. But if he was hoping to be elected to the top position himself, he was talking them out of choosing him, too. "All that want some person to be a guardian or a prophet, a spokesman or something else, signify it by raising the right hand." They must have been confused by the way he worded the question, because the record states no hands were raised. Brigham ended up suggesting that the best choice for governing the church would be to turn it over to the Quorum of the Twelve Apostles, acting together as a body. Not one man in particular, mind you, but the whole Twelve would make all the governing decisions as a group. So that's the plan the congregation voted to accept. Three years later, Brigham persuaded the saints assembled at Winter Quarters to elect him as president of the Church, which they did. Mind you, they did not anoint him their prophet, seer, and revelator. Brigham himself had told them, "You cannot fill the office of a prophet, seer, or revelator. God must do this." The people never did consider Brigham Young to be prophet, seer, and revelator for the church as was Joseph Smith. They sustained him as their president, the guy whose job it was to preside over the church, not receive revelations for it. Fast forward thirty years to Brigham Young's death, and now the Twelve are convened to decide what to do next. Brigham had ruled the church with such an iron hand, that once he was gone John Taylor convened the Twelve and said (I'm paraphrasing), "Let's not do that again. From now on, let's all twelve of us be the governing body as originally proposed so as not to risk having another dictator." And that's what they did. For three years, the Church was run by a twelve-man board of directors, with no president at its head. And then John Taylor decided maybe he would like to try his hand at presiding after all, so he got the Twelve to go along with him and at conference the people were asked to sustain him as their president. Not their prophet, just church president. In the Spring 2014 issue of the Journal of Mormon History, historian Edward Leo Lyman has documented the slap-dash, make-it-up-as-they-went methods by which the Quorum tried to figure out who should be the next in charge every time one of them shuffled off his mortal coil. 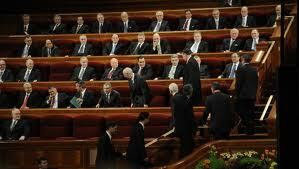 (See Succession By Seniority: The Development of Procedural Precedents in the LDS Church). The way the apostles struggled to work things out over each series of "crises" makes for some fascinating reading. There was still no one in the church hierarchy operating as Joseph Smith had, receiving revelations from God, so they didn't know how they were supposed to handle things. 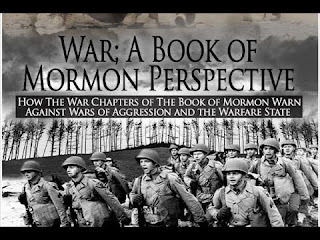 The minutes of the meetings of the Quorum in those days show a lot of debate, infighting, alliances, and jockeying for position. About the only thing the Brethren were ever united on was their agreement that none of them wanted to see George Q. Cannon become president. He was almost universally disliked by his fellow apostles. By the 20th century, a popular narrative had taken hold in the church to the effect that ever since the death of Joseph Smith, there has always been "a living prophet" at the head of the church to guide us and instruct us in God's will. Nothing could be further from the truth. None of these supposed "prophets" ever conveyed a direct revelation to the members from which the saints could ascertain the will of God. Check your Doctrine & Covenants and you'll see. The oracles simply peter out once Brother Joseph exits the scene. There is one more loose thread to this story. The "preferred narrative" most of us were taught growing up in the church states that before he died, Joseph Smith anointed the Twelve apostles to succeed him, and that he turned over to them all the keys and authority to act in the name of God. That part of our history isn't true either. But it makes an interesting tale. So sit back and get comfy; we're not done yet. Who Needs Checks And Balances In The Lord's True Church? I say it is contrary to scripture because the great revelation on priesthood (D&C 107) expressly limits the jurisdiction of the Twelve. Jesus Christ Himself, through revelation to his prophet, directed that the governing bodies of the church are to be co-equal in authority, in order that no single entity encroaches on the responsibilities and commissions of another. The apostles would probably be last, because they had no governing authority within the church. Most of the time they weren't anywhere near Church headquarters, because the common name for the Twelve Apostles was the "Traveling Elders." These were the missionaries sent out to all the world to spread the gospel. They were only home occasionally before going back out again. The High Council, headquartered at Nauvoo, did most of the governing within the church, handling the day-to-day administrative affairs of the church. You may have noticed there is no High Council operating at Church headquarters anymore. That office simply disappeared once Brigham Young took charge of things. Like it never existed. Under the Lord's plan, the Twelve have no authority within any organized stake. They are co-equal with the other bodies, but with very limited jurisdiction. Yet the Twelve today claim they get to own, control, operate and dictate to all other bodies and to every part of the church, both inside and outside organized stakes. All this because of a meeting that took place on March 26, 1844. The thing is, this council was not a part of the church. It operated outside the church; independent of it. And that's because it included both members of the church and non-members. 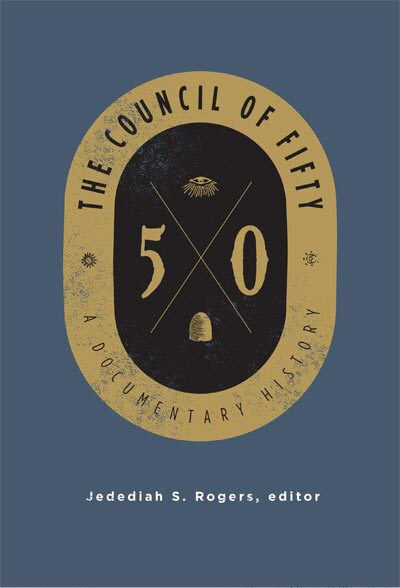 Although the Council of Fifty kept minutes, the March 26, 1844 minutes make no mention of the Twelve getting to control everything, or getting any “keys” from Joseph Smith that day. In fact, there is nothing in the minutes to support the claims of the LDS Church that the Twelve were superior to every other church body, and in possession of all the “keys” (whatever that means). Because the minutes do not support the claims, the LDS Church Historian’s Office wrote an introduction and provided footnotes for the minutes of the 26 March 1844 meeting. The Historian’s Office thinks that is most likely the probable meeting when the “keys” were passed along. 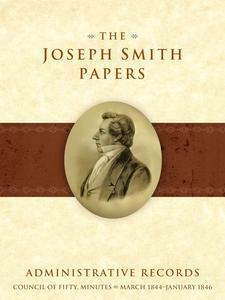 Their introduction begins on page 62, and the minutes run through page 72 of the volume titled Joseph Smith Papers, Administrative Records. If it were not for the Historian’s Office interjecting the claim into their introduction and footnotes, there would be nothing in the minutes of the meeting to support the claim that the Twelve got all the “keys” from Joseph Smith to run everything on that day. Essentially the Historian’s Office explains that missing proof does not prove it didn’t happen. If it did happen as the LDS Church claims, it is a pretty significant omission. But the omission from March 1844 is not the only proof that this important event did not happen. The story about “keys” got mentioned the following year, in minutes that should lay the LDS Church's claims to rest. Coun. O. Hyde wanted information as to who were here to day who were present Joseph Smith laid the responsibility of leading the church on the Twelve. Coun. Hyde read a certificate which he had wrote for publication concerning prest Joseph Smith appointing the Twelve to take the responsibility of leading the church. Coun. J. Young moved that the last expression in the article, “so help us God” be left out. Coun. Hyde said he had wrote this article and submitted it to this council to find out how many of those here were present at the time it was done, and who can sign it as witnesses. Coun. O. Pratt was present when observations similar to those in the document were made by prest Smith; but would it not be carrying an idea abroad that this was the commencement of the authority of the Twelve. They had the same authority before the time referred to in the document. He should have no objections to the article going forth if the proper date of the authority and appointment was stated. Coun. Hyde gave further reasons why he had wrote the article and requested its publication. I want to make sure you caught that: There is no evidence that any ordinance, ordination, or anointing occurred in any meeting of the Council of Fifty! According to the LDS Historian’s Office, there was no ordinance passing the “keys of the kingdom” to the Twelve in the Council of Fifty! Nor was there an ordination passing the “keys of the kingdom” to the Twelve in the Council of Fifty! Nor any sort of anointing passing the “keys” to the Twelve! But the official tradition in the church today remains. The Twelve somehow got the “keys” in a meeting of the Council of Fifty sans ordinance, sans ordination, and sans anointing. That's a generous passel of "likely"s, "probably"s, and "may have"s in a paragraph ostensibly written by professional historians. I'm accustomed to reading raw historical data just as it stands. And when a historian deigns to describe a document to me, I expect him to stick to what is actually in the document he's describing, without speculating and forcing the data to conform to what he wants it to say. But because traditions of men now dictate that Joseph Smith must have turned over his authority to the traveling elders at some point in history; and because these particular court historians depend upon the corporate Church for their salaries and their pensions, they have apparently decided that this is the moment the invisible transfer of power must have taken place. They chose this moment in history to put words in the mouth of a true prophet of God, so that future "prophets" would have some officially sanctioned event to hang their hats on when declaring their authority to act in God's name. In the opinion of these company men, that meeting in 1844 simply had to be the time and place where Joseph Smith turned over all his authority to the Twelve. It just had to be! Yet there is absolutely no indication in the record that anything of the sort ever took place. "26th A rainey day. I met in council with the brethren." "I give unto you my servant Brigham Young to be a president over the Twelve traveling council." And that's it. That is the only calling Brigham Young ever received by the voice of the Lord: director of the missionary program. This convoluted megillah showing how Joseph is imagined to have given the Twelve full authority to run the whole shebang is more than a bit of a stretch. Note the historian's obscure reference to Joseph Smith's "last charge" to the Twelve, a "charge" that no one has seen in writing, and that is now imagined to maybe be the "charge" Joseph "may have delivered in this particular meeting." If the LDS Historian’s office admits Joseph “charged” the Twelve, but did not give an “ordinance, ordination, or anointing” then how was he charging them? Was he warning them? Or was Joseph accusing them? Either of these would not empower the Twelve, but would caution/accuse them against wrecking the “kingdom”—something which has happened. If you want to read a good example of Joseph Smith giving Church leaders a "charge," turn to section four in Teachings of the Prophet Joseph Smith. This is the section discussed in my last post on this forum. There the prophet goes on for eight pages charging members of the Twelve not to exalt themselves as had the fallen leaders these men were now replacing. He charged them to be humble; to not betray God, to not betray the church, to not betray their brethren; he charged them to be careful. That is the kind of thing we are used to reading whenever Joseph Smith issued a "charge" to the brethren. "The “kingdom of God” is not the LDS Church and the LDS Church is not the “kingdom of God.” They are separate. "So if Joseph rolled the 'kingdom of God' off his shoulders and onto the Twelve, it has nothing to do with giving the Twelve jurisdiction to assume complete autocratic control over the church. There was already a revelation in place (D&C 107) that confirmed the role of the Twelve in the church to co-equality with the seventy, stake high councils, and gave them no jurisdiction within an organized stake. The assertion that the charge allowed them expanded jurisdiction contrary to, and in violation of Section 107 is not justified when the 'kingdom of God' and the church are two separate things. The 'kingdom of God' is 'not designed to affect our salvation' and therefore did not, indeed cannot, subjugate the church. "Thus died the 'kingdom of God' which Joseph Smith probably may have charged the Twelve to possess. They neglected the 'kingdom of God' because they were preoccupied with acquiring complete, unfettered control to dictate over the church and hold at defiance any who dared to challenge them. They reign over the Seventies and stake high councils with impunity. Their autocratic control holds the approximate 30% of those who remain nominally active in the church in complete submission. "They have the 'keys of the kingdom'–which kingdom has lapsed into complete oblivion. But they’ve parlayed that into dictatorship over the other organization, the Church." The foundational claims of our religion can be tested by inquiring of the Lord. But the more closely the authority claims of the LDS Church are examined, the more groundless they become. The Restoration happened. Joseph Smith spoke with God and accomplished things only a prophet could accomplish. But that has nothing whatever to do with supporting the anti-scriptural claims by the Twelve that they have the right to complete ownership and control of a church that was founded through an actual prophet of God. Did Russell M. Nelson Take The Lord's Name In Vain? The Church's flashy new high-rise in Philadelphia. Latter-day saints in the Salt Lake City area are finding it difficult to share the gospel with their non-member friends, when at the same time their leaders are boasting in the press about the Church's impressive real estate developments. It isn't easy trying to convert your neighbor when your salient message -that Jesus Christ personally directs the leaders of your Church- is contradicted by the actions of those self-same leaders. Anyone can see there's a serious disconnect. "You're telling me that Jesus Christ himself instructed your leaders to build a three billion dollar shopping mall that caters to only the wealthiest clientele?" "Well yes, he must have, because our prophet is guided by personal revelation from Christ." "How about those high-rise office buildings? Were those Jesus' idea too?" 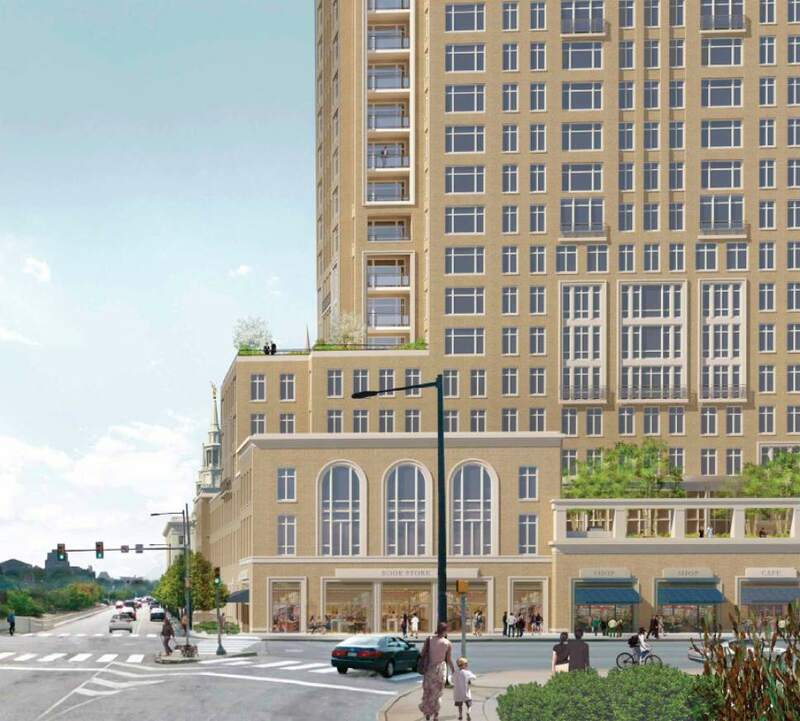 "And the luxury condominiums downtown? And those expensive apartments in Philadelphia? 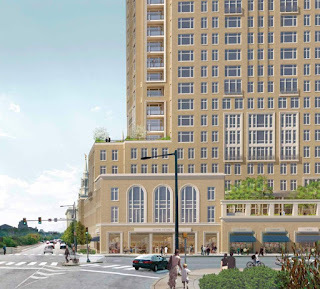 Why would Jesus direct your Church to build a deluxe apartment high-rise?" "Maybe the Church is building those apartments to house the poor." "Your Church spokesman said they are being built 'because it is a very attractive investment opportunity' and that the units will be be rented out at market rates. Do you think all this was Jesus' idea?" "Well, we believe we are led by a living prophet who guides this church under the direction of Jesus Christ, so I guess the Lord has his reasons. Maybe people will see how successful the Church has become and these investments will make good missionary tools." 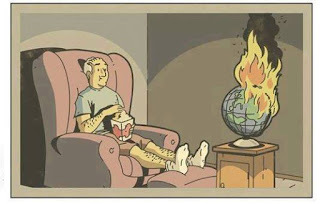 "Okay, here's the problem. You want to convert me to a religion that claims to have the true gospel of Jesus Christ, but every time I turn around I see your prideful Church leaders showing off how they are spending billions of dollars on impressive architecture that has nothing to do with the gospel of Christ, and which actually appears to us outsiders to contradict His teachings. Your Church even donated millions toward the building of a theater in downtown Salt Lake City that will be the venue where The Book of Mormon Musical is booked to perform. I thought you people considered that show the height of blasphemy. But you're telling me your Church leaders believe that helping to provide that venue would make a good missionary tool?" "Well, I don't know all the answers, but I can tell you God works in mysterious ways his wonders to perform." "Okay, let's cut to the chase. Tell me why I should join your church." "Because Jesus Christ directs this Church through his living prophet." At this point the prospective convert gives up, buys a gun, goes home, and shoots himself in the head. If the average members of the church today bothered to think things through, they would recognize there is something a bit off-kilter about the way their Church's leaders are currently managing the funds supposedly entrusted to them by the members. But most won't allow themselves to let critical thoughts enter their heads, because they have been conditioned to believe that challenging the actions of their leaders borders on sacrilege. You aren't allowed to find fault with the leaders, because to do so would make you an apostate. "I will give you one of the Keys of the mysteries of the kingdom. It is an eternal principle, that has existed with God from all eternity: That man who rises up to condemn others, finding fault with the Church, saying that they are out of the way, while he himself is righteous, then know assuredly, that that man is on the high road to apostasy; and if he does not repent, will apostatize, as God lives." There's only one thing wrong with that statement from Joseph Smith. 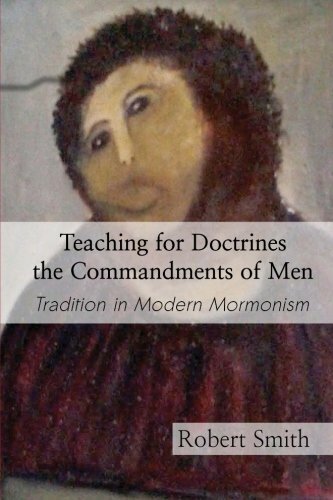 Adrian Larsen has documented an entire litany of myths and false teachings that continue to circulate in the church, even making their way into our modern Sunday School manuals, as did the phony warning from Joseph Smith above. Larsen has gathered them all into a fascinating six part series titled History, Hearsay, and Heresy. It is admittedly not hard to appear smarter than everyone else in your ward (all you really have to do is chuck the manuals and read the scriptures instead.) But I'm prepared to make you a promise: if you become familiar with Brother Larsen's blog, you're guaranteed to be elevated to genius status in the minds of your fellow ward members. They'll think you're the next Hugh Nibley. History of the Church, 3:385; from a discourse given by Joseph Smith on July 2, 1839, in Montrose, Iowa; reported by Wilford Woodruff and Willard Richards. First is Wilford Woodruff’s Journal, where we find the lengthy notes Woodruff took during the meeting in question. Trouble is, Woodruff's Journal completely omits this quote, though it directly (and without interruption) supplies the rest of the sermon used in History of the Church. The other source is Willard Richards' Pocket Companion, which does contain this quote. OK, so got that so far? Woodruff omits this paragraph from the sermon. Richards has this paragraph in the middle of the sermon. 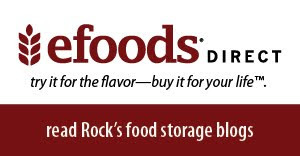 Woodruff, no. Richards, yes. Woodruff, who was present at the meeting in question, is considered the most reliable source because he recorded the notes of the meeting while in attendance. But this quote does not appear in that record. The sermon before and after this quote appears there uninterrupted, but the quoted paragraph is completely absent. Richards' Pocket Companion is actually a collection of material Willard Richards copied from other sources. Therefore, though this material appears there, Richards was not actually present when Joseph gave this sermon, and Richards copied the material from elsewhere, most likely Wilford Woodruff’s journal. As to how the quote in question got into Richards' Pocket Companion while NOT appearing in the original record is a mystery. Nobody knows where it came from. It is therefore hearsay and not a historical record. We are left to wonder where Richards obtained the quote and why he stuck it in the middle of a sermon he didn’t hear Joseph give. There is no original source that contains this quotation, and Richards was on a mission in England when Joseph was supposed to have said it. In fact, you can pretty much summarize the mission of any true prophet as calling people to repentance. (D&C 11:9) How is this not "condemn[ing] others, finding fault with the Church, saying that they are out of the way?" Therefore, since Joseph Smith himself was "on the high road to apostasy" if this quote were true, it is utterly preposterous that Joseph Smith ever said this. Nobody quite knows where this quote came from, but it wasn't Joseph Smith. Willard Richards, You Mischievous Imp! It isn't hard to figure out how that fake entry made it into Joseph Smith's official Church History. Years after the prophet's death, Brigham Young directed his cousin, Willard Richards, to finish compiling Joseph Smith's history, which Richards proceeded to do, doctoring much of the record under instructions from Brigham. The result is that today our official record contains statements Joseph Smith never said, and it left out important things Joseph did say that no longer fit Brigham Young's preferred narrative. Charged to assist Willard in this chicanery was one Charles Wesley Wandell, who, once he realized he was expected to participate in a fraud, up and quit that job, then left Utah entirely. 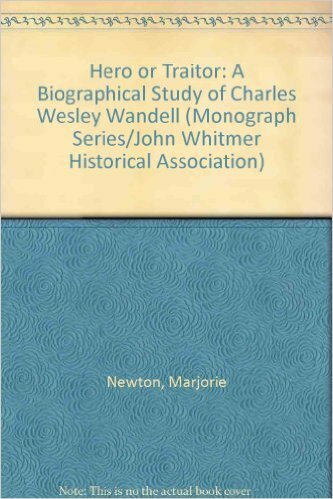 Wandell is said to have left the church in disgust, but he only quit Brigham's branch of the Church. He went back to the states and rejoined those known as "the prairie saints," numerous quietly thriving branches that remained scattered throughout Missouri, Illinois, Iowa, Wyoming, Ohio, and the Great Lakes region. Our Utah version of Church history treats these saints as if they had abandoned the faith, but some 10,000 devoted believers (including Joseph Smith's own family) simply elected to remain closer to where Joseph said Zion would be built rather than follow Brigham Young all the way to the Rockies. "I notice the interpolations because having been employed (myself) in the Historian's office at Nauvoo by Doctor Richards, and employed, too, in 1845, in compiling this very autobiography, I know that after Joseph's death his memoir was 'doctored' to suit the new order of things, and this, too, by the direct order of Brigham Young to Doctor Richards and systematically by Richards." 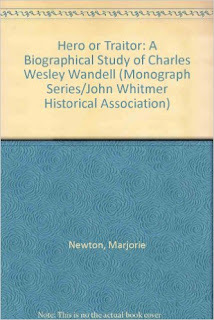 (See Marjorie Newton, Hero or Traitor: A Biographical Study of Charles Wesley Wandell, John Whitmer Historical Association). This wasn't the first time Willard Richards was involved in some dubious chirography. In April of 1842 he delivered what amounted to a love letter to Nancy Rigdon, the pretty 19-year-old daughter of Joseph Smith's counselor, Sidney. Richards claimed the letter was from Joseph Smith, even though it was in the handwriting of Willard Richards. Both Nancy and her father scoffed at the idea that Joseph sent the letter and refused to believe the prophet had anything to do with it. They had a pretty good idea who was behind it, and they knew it wasn't Joseph. When Joseph Smith heard about the letter (it was unsigned), he made affidavit denying any knowledge of it, and a few days later the prophet preached to thousands in the Grove near the Temple and condemned "all adulterers, and fornicators, and unvirtuous persons, and those who have made use of my name to carry on their iniquitous designs." What If Joseph Really Did Say It? No matter how much I try to persuade such people that the Lord would have us rely on our scriptures rather than on dubious "faith promoting" fabrications, some people simply will not allow historical truth to deter them. They insist that if that story is in the Church manual, then the Brethren approved it, and if the Brethren approved it, blah blah blah magic. Okay, fine. Let's suppose Joseph Smith actually did say that those finding fault with the church are on the high road to apostasy. It still wouldn't mean what they seem to think it does. Because when Joseph Smith spoke of "the Church" he didn't refer to it in the way we modern Mormons constantly do. In the modern LDS vernacular, "the Church" has come to mean the organizational structure at Church headquarters in Salt Lake City; in other words, the institutional, corporate Church, and primarily its leaders. But when Joseph referenced "the church" he meant just the opposite. He was talking about the rank and file members. Joseph's definition of the church was the same as the definition given by the Lord in D&C 10:67: all who repent and come unto Christ, "the same is my church." Naturally that would include the leaders of the church as well as every other penitent within the body of Christ, but any member foolish enough to assume "the church" referred to Joseph Smith and his inner circle would find himself on the outs with Jesus, who warned in verse 68 of that chapter that anyone declaring contrary to the words he just spoke was not of him and not of His church. So let's look at this controversial talk Joseph Smith gave that day in 1839, and look at it in context. This was not a general meeting of the Saints. The prophet was not addressing the rank and file at this time, because none of them were present. This was a meeting of the hierarchy, for lack of a better term. Joseph had come to address the quorum of Twelve Apostles and a few Seventies prior to their departing on their missions to Great Britain. He spoke to them for some time, repeatedly admonishing them to "be humble, and not be exalted, and beware of pride, and not seek to excel one above the other." And now that bunch was gone. Apostatized. "That man who rises up to condemn others, finding fault with the church, saying that they are out of the way, while he himself is righteous, then know assuredly, that that man is on the high road to apostasy; and if he does not repent, will apostatize, as God lives." You can see why I have no problem with the claim that Joseph Smith made this statement. In fact, I wish he had said it, because read in its proper context, with a proper understanding of what Joseph would have meant when referring to "the church," this statement utterly condemns most of the Church hierarchy today. Many within the leadership today rise up to condemn many of the members, finding fault with them, saying that they are out of the way while they themselves are righteous. The late Boyd K. Packer was notorious for this attitude toward those below him in status, as was Bruce McConkie. Dallin Oaks has come right out and declared that "it's wrong to criticize the leaders of the Church, even if the criticism is true." If that isn't an elitist attitude, I don't know what is. There are plenty of disaffected Mormons who will tell you they have been shunted out of the church by leaders who felt they (the leaders) were righteous, while the lowly member was out of the way and in need of correcting. These modern leaders have turned the definition of apostasy on its head. In the past, an apostate was understood to be someone who had turned against his religious beliefs and principles. Now it refers to someone who fails to show proper deference to Church authority. Whatever it was that possessed Willard Richards to slip that paragraph into the official record, it seems to me he tipped his hand in the introductory sentences where he has Joseph saying "I will give you one of the keys of the kingdom. It is an eternal principle that has existed with God from all eternity." One of the keys of the kingdom? An eternal principle? One that has existed with God from all eternity?! Seems to me old Willard took it a step too far. Couldn't resist crossing the line into hyperbole. That's what I see as the first clue that he made it all up. Finding fault with others is a serious sin, don't get me wrong. And when committed by a person who holds authority over others, that becomes the very definition of iniquity -to Lord it over others in an unequal manner. Iniquity was King Noah's great sin, and has been the sin of men in authority for all recorded history. But "eternal principles that have existed with God through all eternity" denotes the operation of the laws of the universe; things that supercede time, space, and the cosmos. I think Brother Willard tried too hard with this one. "I will give you a key which Brother Joseph Smith used to give in Nauvoo. He said that the very step of apostasy commenced with losing confidence in the leaders of this Church and kingdom, and that whenever you discerned that spirit, you might know that it would lead the possessor of it on the road to apostasy." So there you have it. losing confidence in the leaders is the one sure sign of apostasy. Not turning your back on Christ, not abandoning religious faith, not denouncing the gospel. "Losing confidence in the leaders" is the one sure thing that will get you kicked out of the church and branded a filthy apostate. Believe me, I know. Never mind having an eye single to the Glory of God. That advice comes from scripture, and scripture is passe' in the era of "follow the prophet." You may manage to find your way to God eventually, but first things first: keep that wandering eye fixed on Russell Ballard and his merry band if you really want to be saved. You say you're striving to become more Christ-centered? Church headquarters has sent out notices to bishops and stake presidents to be on the lookout for statements like that because they are the warning signs of apostasy. I kid you not. I hear from people nearly every week with horror stories of being called up for discipline because they bore "overly fervent" testimonies of Christ. It's no surprise why Church headquarters tried to destroy all traces of Elder Poelman's original conference talk from 1984. He taught that our goal as members of Christ's church was to become so Christ-centered that we would no longer need hand-holding from the institutional Church. That kind of talk is anathema to the suits in the boardroom at 50 East South Temple. Why, just imagine! If the members got to the point where they no longer needed the leaders, where would they get the money for their fancy shopping malls and condominiums? *Yes, I'm aware that's racist. Everybody knows Chinese people don't whisper. False teachings are par for the course in the LDS Church today. True teachings have been replaced with a narrative of false traditions that lull the members into the comfortable security of knowing all is well; our leaders have everything under control. "And thus," Nephi warns, "the devil cheateth their souls, and leadeth them away carefully down to hell." Even the program of scripture mastery has been replaced in our seminaries and institutes with a program called "Doctrinal Mastery." In a Church where very few bother to read scripture anymore, preferring instead to wait for their leaders to disseminate instructions, those leaders can shape the doctrine into any form they want. If by some fluke of history we don't know about, Joseph Smith really did say those words about what it is that puts a man on the high road to apostasy, we know from the rest of his speech that day that he would not have been issuing that warning to the average, everyday member of the church. In Joseph Smith's day, it was rarely the faithful believer at the bottom who apostatized from the true path. It was the leaders. It has always been the leaders. I just call 'em as I see 'em, Dude. I'm prepared to make a bold prophecy regarding the presidential election next month: I predict Donald Trump will win. I realize this fatidic pronouncement goes against all the conventional wisdom, but I believe Trump will triumph. And this is coming from a guy who doesn't want to see Donald Trump become president of the united states. So why am I issuing this prophecy? Frankly, I had every intention of addressing a more substantial issue this month, but I'm putting that one on the back burner for now because I want to get this prediction on the record in order to confound my enemies. You see, it has come to my attention that some members of the Church have been warned not to follow me because "Rock Waterman is a false prophet." That's ridiculous on two fronts: First, anyone dumb enough to "follow" me or look to me as some kind of guru is a dang fool to begin with. As those familiar with this blog can confirm, the history of my life has been one mistaken assumption after another. I expect to goof up many more times in the few years I have left on this planet, so if you're inclined to grab onto me as I trip and fall, be my guest. Company is always welcome here in the ditch. Secondly, I never claimed to be a prophet. I have never so much as entertained the idea of issuing a prophecy of any kind. If my prophecy turns out to be correct and Trump wins, my accusers will verily be confounded, because as of today all the pundits expect Hillary Clinton to win handily. If my prophecy turns out to be false? Well, then I guess I'll have to go off and start my own church, because that's what's expected of us false prophet types. But I don't think I'm wrong. And here's why. Now I want to make one thing clear: I don't have a dog in this fight. So whether you favor Trump or Clinton in this race, don't climb all over me because I'm critical of your candidate. I think both candidates are unfit for the presidency, and I've already given my reasons for saying so. But allow me to recap. Hillary Clinton has become famous for lack of integrity, and she has no respect whatsoever for the constitution. Trump is head and shoulders above Clinton in the honesty department, but only because Hillary placed the bar so low. Trump still has his share of moral failings. But his are nowhere near the failings of Hillary Clinton, who is a flaming sociopath without a trace of conscience. So take your pick: the criminal or the half-wit. Trump's Achilles heel where the constitution is concerned is that he seems never to have read it. He has no blinking idea what's contained in that document. So this is a race between the egregiously corrupt and the woefully uninformed. I don't have a lot of integrity myself, but what little I have I save up every four years to spend on election day. As a matter of principle I can't vote for either one of them. But none of that has anything to do with my assertion that Hillary will lose this thing. I'm convinced she will lose because she can't get a sufficient number of people to support her. Ignore the constant poll numbers that show her ahead; they don't reflect the reality on the ground. While Donald Trump is filling stadiums with cheering supporters, Hillary Clinton's people have had trouble getting a few hundred people to show up sometimes. Her rallies are held in small auditoriums precisely because if Hillary's people had booked larger venues the vast numbers of empty seats would be an embarrassment. In some cases Mrs. Clinton had to resort to subterfuge to fake the turnout. In Cleveland she crashed a party already in progress so it would look like the crowd had come to see her. So Who Is Rock Waterman Voting For? *In case you're new here, I'm kidding. Those familiar with this blog know I have a healthy aversion to so-called "leaders" and very little respect for those who follow them. Teachers are good; leaders not so much. God did not put you on this earth to have someone else tell you what to do. If you're asking who I'm voting for this time out, well, the options don't look very good. My first presidential election was in 1972, when Nixon ran against McGovern. (Back then you had to be 21 to vote.) I was a conservative, so I couldn't vote for Nixon. I voted instead for Mary Kay LeTourneau's dad. 1.1 million of us voted for John Schmitz that year, a phenomenal number for a third party candidate. Yet we were rebuked by our fellow conservatives for throwing away our votes. We didn't see it that way. After all, Nixon did win. But the man turned out to be completely unprincipled, so the way I saw it, those who voted for him were the ones actually throwing away their votes. They gave their votes to a candidate whose values were inimical to theirs. They had bought into the lies of a politician, as voters have been doing since the dawn of time. This year I was planning to vote for the Libertarian candidate, Gary Johnson. But he turns out to be not much of a libertarian after all. So what to do? Mormonism is a decidedly libertarian religion -at least it was in the beginning. And I don't mean libertarian as in the Libertarian Party. Libertarianism was a political philosophy two centuries before it was a party. It was just called something else back then. Joseph Smith and the early Saints would have been thought of as liberals, but that was long before the definition of "liberal" was stood on its head. In modern times we have to qualify the liberalism of the 19th century by calling it "classical liberalism" to distinguish it from the aberration that goes by that label today. Classical liberalism places the freedom of the individual as its central feature. We often think of Thomas Jefferson as the pre-eminent classical liberal, as that brand of liberalism was the political philosophy that guided the founders of this nation, as well as the founder of our church. Sadly, there is no classical liberal running for president this time around. At this stage I'd settle for a conservative, but there are no conservatives running for president either. Evan McMullin is a Mormon third party candidate who has culled a lot of support in Utah. But I wouldn't trust him as far as I could throw him. McMullin strikes me as a modern-day Gadianton Robber, the kind of sneak-thief the Book of Mormon warned would infiltrate our institutions. His background raises all kinds of red flags: former CIA, Former Republican Foreign Policy Director, and former Investment Banker at Goldman Sachs. "As a key player in the neocon wing of the CIA, which ginned up phony “intelligence” to drag us into the Iraq war, McMullin wants us to re-invade Iraq, overthrow Bashar al-Assad in Syria, and longs for a US confrontation with Russia in eastern Europe. "In short", Raimondo adds, Evan McMullin "is the archetypal neoconservative." Evan McMullin's Supporters might want to read this book. Which is to say he is a very bad latter-day Saint. If you want a candidate who claims to be LDS but wholly rejects the instructions God gave his people in D&C 98:33 and throughout the Book of Mormon; if you're looking for a wolf in sheep's clothing to run for president, you may as well support Evan McMullin. He makes Mitt Romney look like a constitutionist. At least Romney wasn't seeking to infiltrate and destroy the Republican party; I think Mitt sincerely believed he could do some good. Had he become president, Romney would have operated contrary to the principles of the gospel, but I don't think he would have been as scorched-earth as McMullin promises to be. Mitt Romney was an unwitting pawn of the Neocons. Evan McMullin is the real deal. If you reject Hillary Clinton, why turn around and support Evan McMullin? If you want warmongering presidential candidates, one is as good as the other. As Marc Faber recently wrote, at least Donald Trump recognizes U.S. power is waning and it can't fight the whole world. Hillary Clinton and Evan McMullin are oblivious to that reality. They would commit America to multiple wars on multiple fronts, further weakening our nation and ripening us for destruction. I will confess to one thing: although I will neither support nor vote for Donald Trump, I'm privately rooting for him to win. No, I don't want Donald Trump to be president. But I really, really REALLY don't want a proven liar and criminal like Hillary Clinton to hold that much power. While it's true she'll likely be impeached during her first term, she could still do untold damage in the liminal weeks leading up to it. Donald Trump, in contrast, is not likely to do much harm. The president is not a king; he can be reined in by the legislature simply by the legislature refusing to provide the revenue for the president's plans. Hillary, on the other hand, is slippery. She knows how to get what she wants, and she'll stop at nothing to get it. I realize I'm stepping on the sacred cows of some of my readers who may be Hillary Clinton fans. To them I say the same thing I would say to overly enthusiastic Trump supporters: take a step back, and don't be so emotionally involved. Your candidate is not Our Lord and Savior. Your Candidate will not be our new king or queen. Your candidate cannot and will not engender any meaningful change. "Change" is the one constant promised by every presidential candidate every election cycle, yet change never comes. Except change for the worse. No matter who your preferred candidate is, your crazy devotion toward that candidate is costing you your friends. Choose your battles. This one is not worth fighting. Everyone knows Donald Trump's flaws. They are many, and they are constantly before our eyes. But I'm surprised at how unaware many Clinton supporters are of her palpable high crimes and misdemeanors. If you are a loyal Clintonite, please open your eyes to the possibility that she may not be who you think she is. Hate to break it to you, but the lady doesn't care about you, even if you are a woman. She is in love with her own ambition. The evidence of her perfidy is available everywhere for viewing and it is conclusive. Hillary Clinton is a nasty, wicked, psychopathic termagant who has no business holding a position of power. If you wouldn't trust her to hold office in your ward primary presidency, why would you want her presiding over the executive branch of the federal government? I always vote every election year. But I also recognize I don't have to make a choice between every candidate on the ballot. Sometimes I will only vote for candidates for a local office, or for the legislature, or maybe against a corrupt sheriff. More often than not I will vote on issues and propositions. But I don't vote for or against anyone in any office if I don't know enough about them. Why? Because I could be canceling out the vote of someone more informed, who may have placed a vote for someone who deserves to be elected. This time I likely won't vote for president. And you know what? It won't matter! As I explained back in April, the presidency is not decided by popular vote. My vote here in Idaho will not decide the presidency, and neither will yours if you live in Utah. So please don't get all het up because I've gored your sacred cow. The founders intended the presidency to be the least influential branch of the government. We ought to try to put it back in it's cage. I have long cringed at the counsel so often heard every election cycle, "it doesn't matter who you vote for, just as long as you vote." That stupid aphorism is aimed at the least informed people in our society, because those who cater to the least informed hope the stupid people will vote for them. I don't want to see my vote for congress canceled out by someone whose entire knowledge of the candidate comes from a yard sign. One of Mike Rowe's fans recently wrote and asked, "can you please encourage your huge following to go out and vote this election? I would never impose on you by asking you to advocate one politician over another, but I do feel this election could really use your help." You'll excuse my cynicism, but there never was a political election that resulted in improvement for mankind. This one, more than any other, is destined to usher in harder times no matter who gets ushered into the white house. Let's not fool ourselves; politics will not save us. Only Jesus Saves. I have been entertained by the shenanigans of both sides of the race during this past election cycle. But the entertainment has been bittersweet. This country has taken too steep a dive to safely pull up. All any of us can do is hope to find a safe place to land before the inevitable crash. When will that crash occur? A year from now? Five years? Fifty years? Somehow I doubt it will wait fifty years. But come it will. When salvation finally arrives it will not come by way of an earthly president, but through our Great King. Brace yourselves, though. Things could get a bit bumpy in the meantime. Those of you arguing for the importance of voting for Trump in order to prevent a Clinton victory may be surprised to learn I enthusiastically agree with you. My piece certainly wasn't an attempt to counsel others to follow my example. I was offering my personal reason for abstaining in this matter, not attempting to persuade others to do the same. I hope most of my readers will cast a vote for Donald Trump, and not just because I want my prediction vindicated. In my opinion, Hillary Clinton must be defeated, not only for the reasons many commenters gave above, but most importantly because the president will be key in nominating Supreme Court justices, justices that will certainly have an important role in deciding if Americans are more free or less free in the very near future. For a concise analysis of why this one issue alone is so important, I recommend Denver Snuffer's analysis posted the same day I posted mine. There are very real and very important issues making their way to the Supreme Court at this very time, and they are issues that directly affect the freedom of individuals. Denver's analysis is available here. People tend to forget that the president is not elected by the people, but by the states. The founders designed it this way precisely to prevent the majority from putting a demagogue like Hillary Clinton in power, because demagogues are adept at persuading the majority to deprive the minority of their freedoms. So WHO you vote for in this race, and WHETHER your vote is needed to elect the least dangerous candidate, really depends upon which state you live in, and more precisely which county. Because I live in Bonner County, Idaho, MY individual vote won't matter because the vast majority of citizens in this county are wise enough to elect enough delegates to prevent Hillary Clinton from winning this state. If I still lived in California, my vote for Trump still would not matter, because Sacramento, where I would have cast my vote, is a government town in a government county. There simply aren't a sufficient number of true patriots in that county to influence the process. If, however, I lived in one of the 25 battleground counties in the country, I would, as a matter of conscience, HAVE to cast my vote for Trump, as my vote would indeed matter in electing a delegate who would in turn cast his vote to defeat Hillary Clinton, a defeat which I consider essential if we have any hope of slowing, even temporarily, America's sure descent into tyranny. Speaking of safe places to land, Connie and I could not have resettled here in Idaho had it not been for the generous assistance of a handful of families who got here ahead of us. Their generous tithes and offerings provided the funds necessary to effect our move, and they have our continuing gratitude. When I was expelled from the Church last year, one of the things I was accused of was "teaching people not to pay their tithing to the Church." That charge was patently false, of course. In the piece alluded to, I very specifically stated that tithing was an obligation members owed to the Church, and I firmly believed it at the time. Others have since persuaded me that given the Church's inappropriate investments in malls, office buildings, hotels, and condominiums; and its failure of compassion to the poorest among us, the leaders have broken their covenant with the people, and members are now justified in contributing their tithes directly where the Lord guides them to. Last month some friends alerted other friends to the fact that Connie and I were in need of temporary assistance, and a number of people came to our rescue with their generous tithes. We want to express our sublime gratitude for that support. The earnings I had expected to receive when we arrived here have not materialized as quickly as we had expected, but thankfully our basic needs were met through the kindness of these several friends we have never met. I have contacted most of these good people personally, but there were a couple of donations mailed anonymously, and I wanted to publicly tell those kind people how grateful we are for giving of their substance. Since I have been asked if we could use a bit more, I will go ahead and admit that yes, we could. Although we have a bit of breathing room now, we are not yet out of the woods. It looks like it will be at least another month before I begin receiving an income, and we do have some unexpected expenses to cover as well as basic living needs. Therefore if some of you readers are so prompted, and if you have first completely provided for the needs of your families and loved ones and if you have looked after those near you who are in greater need than we are, then Connie and I are most willing and grateful to accept any small portion of your surplus you might be willing to contribute toward our use. I firmly believe our first obligation is to tithe to those closest to us. So when you look for a place to disburse your sacred tithes, please look to the needs of those nearest you first, both familial and geographical. After that, if you have remaining surplus, you can spread your tithes out further. But again, act on what you are prompted to do. A Million Thanks to all our new friends! Don't worry, I haven't gone soft. Next month I'll be back with another sardonic harangue against unrighteous dominion. Meanwhile, don't be like me. Go out and vote for Donald Trump. My credibility as a true prophet depends on you.